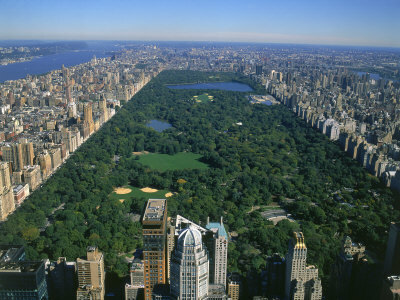 Central Park is at the heart of Manhattan. It's a more then 3,4 square kilometres public park, designed by Frederick Law Olmsted and Calvert Vaux. The park first opened in 1857, but was not completed until 1873. 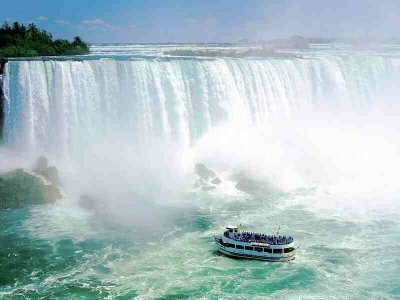 Today the park is visited by approximately 25 million people annualy. The park has several ponds, bridges and walking tracks. The ponds look natural, but most of the park is artificially created. One can also find a zoo, ice-skating rinks, a wildlife sanctuary and natural woods. Around the park is several sculptures and other pieces of art, including Cleopatra's Needle. The park is open to different activities like sports, rowboating, open air theater, conserts and more. At the same time it has designated quiet areas. It used to have a bad reputation for crime, but this problem has been more or less solved. Grand Central Terminal, or Grand Central for short, is the largest train station in the world by the number of platforms. It was opened in 1871. The current Grand Central Terminal building was built in 1903. 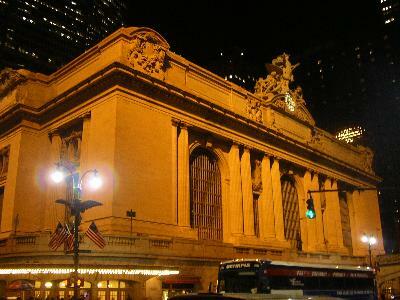 Aside from being a train station, the Grand Central Station is filled with arts and sculptures. Approximately 40 million passangers are handled every year. This has made the station quite popular, and several movies have been recorded at the location. 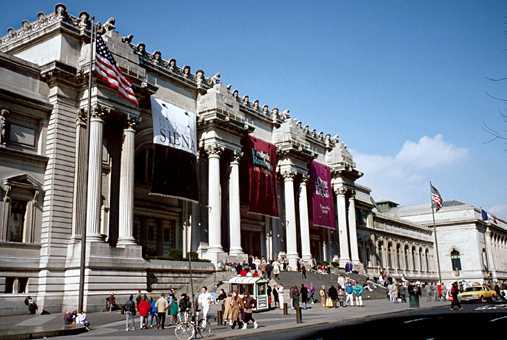 Close to Central Park on Manhattan, is one of the world's largest and most important art collections. It contains several thousands of years of human art history. In the permanent collection there are more then two million works from all over the world. The museum was founded by a group of citizens in 1870, with the goal of bringing art and education to the American people. The kind of art collected spans from paintings and other decorative arts to arms and armor, and from arts with Osceanic origin to arts of Islamic origin, coverng most time periodes. Today the museum has more then 190.000 square metres of floor space, 20 times more then when it was opened. The huge statue was a gift from the people of France to USA. It has become a symbol of freedom, and in the tablet she is holding in her left hand, the date of the American Declaration of Independence is inscribed. 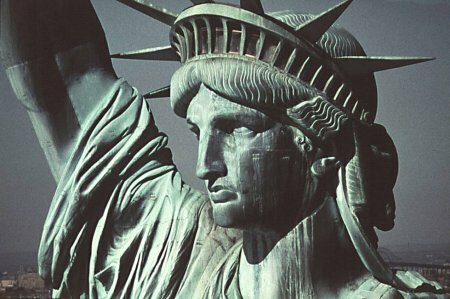 The statue is representing the roman godess Libertas, which is the godess of freedom. The statue is an amazing 46 meters tall.